The Nicole Fitzsimons Foundation is proud to announce its first sponsorship of young sportspeople to sisters Tania and Renee Fassolis. Tania is 16 and specialises in the hammer event but also competes at representative level in discus, shot put and javelin. 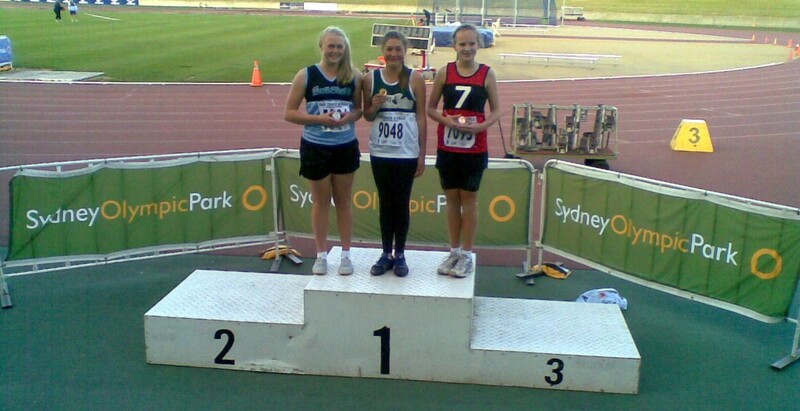 Tania recently won the gold medal at NSW All Schools Under 16 Girls Hammer Event. Tania had prevously won Under 16 Girls Hammer Event at the Australian All Schools and came second in the Under 17 Girls Hammer 2012 Australian Junior Championships with a throw of 47.08m and will go on to compete in the Australian Junior Championships in Perth. In December 2012 at Zone Little Athletics in Campbelltown Tania won discus and shotput breaking records in both events and second in javelin. Renee is 13 and competes in shot put, discus and javelin. Renee has previously won Under 13 NSW Combined High Schools and NSW All Schools in discus. Renee competed in the Zone Little Athletics and won Under 13 Girls discus, shot put and javelin. She broke a 16 year old record throwing 40.37 metres in discus. We wish Tania and Renee good luck when they compete in Regional Little Athletics in February. The Nicole Fitzsimons Foundation sponsorship will assist the sisters with travel expenses when they compete in Australian Junior Championships in Perth in March. The Foundation is proud to sponsor these passionate and talented sisters as they aspire to achieve their dreams. Renee and Tania train regularly and compete at many locations with the support and dedication of their parents. The Nicole Fitzsimons Foundation looks forward to seeing the results from the Junior Championships in March.